Let's see what the social-data says. Forget the headlines. We dig into the social data to see what people are really doing with their Facebook and Instagram accounts in the wake of the Cambridge Analytica Scandal. You don't want to miss this free report. 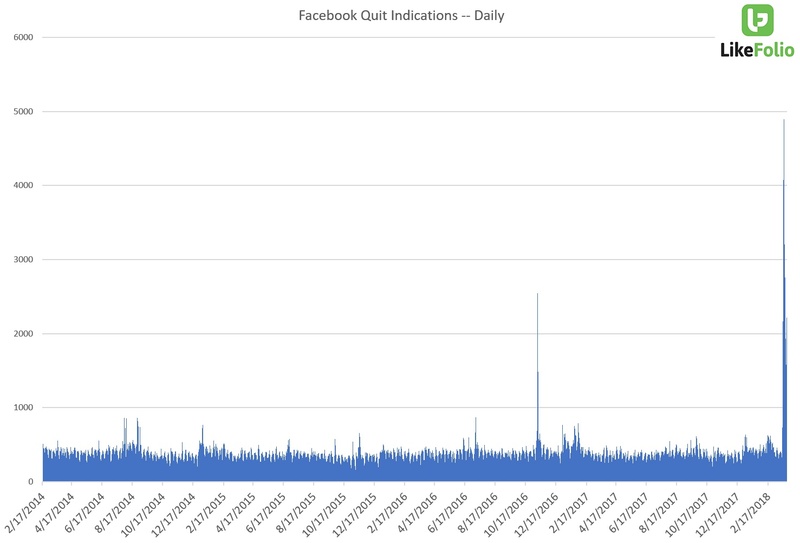 Analysis of "quitting Facebook" indications -- a flash in the pan or a real movement? What do Stormy Daniels and Cambridge Analytica have in common? Is Facebook stock in real trouble, or is this scandal providing a buying opportunity? ©2018 LikeFolio. All Rights Reserved.